In Blake the Jaguars trust? The Jacksonville Jaguars had one of their best seasons in a long time this year. Unfortunately with that and raised expectations come tough decisions. 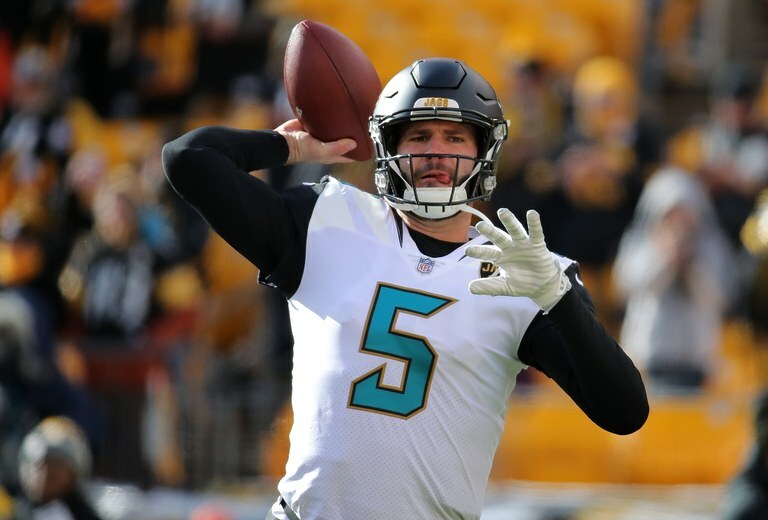 One big tough decision the Jags had this offseason was what to do with their quarterback, Blake Bortles. Eventually, the Jags decided to bring him back on a three-year, $54 million contract ($26 million guaranteed). While that decision was made rather quickly and in a positive manor for those that like Blake, things did not end up so well for few of his teammates. The Jags decided to let Allen Robinson pursue a new contract in free agency. Robinson eventually signed with the Chicago Bears after missing 15 games due to an ACL tear after Game 1. After today, you have to wonder what the thinking is for Jacksonville in their passing game. The Jags released wide receiver Allen Hurns and longtime tight end Mercedes Lewis. The moves definitely shocked some people, but it makes you wonder what Jacksonville is thinking. The Jags made their money running the football last season. 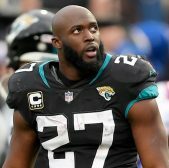 Rookie Leonard Fournette was very good in his rookie season, accumulating 1,040 yards and nine touchdowns. What seemed to stall at times was the Jacksonville passing game. They would have some big plays and other times where they would struggle to complete a pass for a first down. So coming into the offseason, it was expected by many around that Jacksonville would re-sign him and keep the depth they built up at the wide receiver and tight end positions. That thought quickly evaporated today with the completion of the Jags getting rid of their starting wide receivers and tight end from 2017. The addition of Andrew Norwell with the exits of talented pass-catchers seems to indicate the Jags are turning the clock back offensively to run the football more and pass as a compliment. This style of offense can be a physical battle for any team and Jacksonville is betting on that. But what their currently aren't betting on is Bortles and his arm. The size of Bortles contract is interesting because they are paying him big money not to mess up a game. With what he is about to be paid, more should be expected. 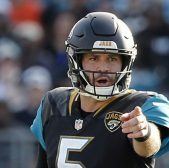 Bortles, however, has not shown that he can be consistent as a quarterback. The Jags need Bortles to not only be in the zone offensively but in the heads of his receivers. Bortles has to direct traffic help his wide receivers recognize different things as well as recognize where all the pressure is coming from. Knowing that he will be the veteran of this wide receiver/quarterback pairing, the Jags are investing in him to be their leader and not just another guy on the team. 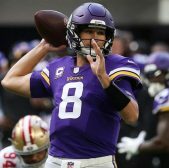 If he is able to take care of the young receiving crew, things will go smooth. 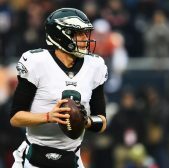 If he is the same sporadic quarterback he has been, then the Jags got some problems. Such a drastic change is not one a playoff team is expected to make. Blake's turn to lead this team on offense is going to an interesting thing to watch. They have the potential again to go if Luck doesn’t deliver and the titans don’t help Mariota.